Timeless Mountain Village 5 bedroom, 6 full bath, 7134 sq. .ft. timber frame home set on 1.86 acres in the estate neighborhood of Highlands Way. Enjoy dramatic views to the San Sophia range, whether from the floor to ceiling windows of the great room or the expansive outdoor deck. The residence is comprised of 2 master suites, 3 guest bedrooms, rec room, exercise room, wine room and office/den off the master wing. Bask in the warmth of all day natural light and enjoy the privacy of cul de sac location. Offered fully furnished, extras include outdoor hot tub patio, three fire places, two wet bars, breakfast nook and recently installed oxygen system in the master bedroom. 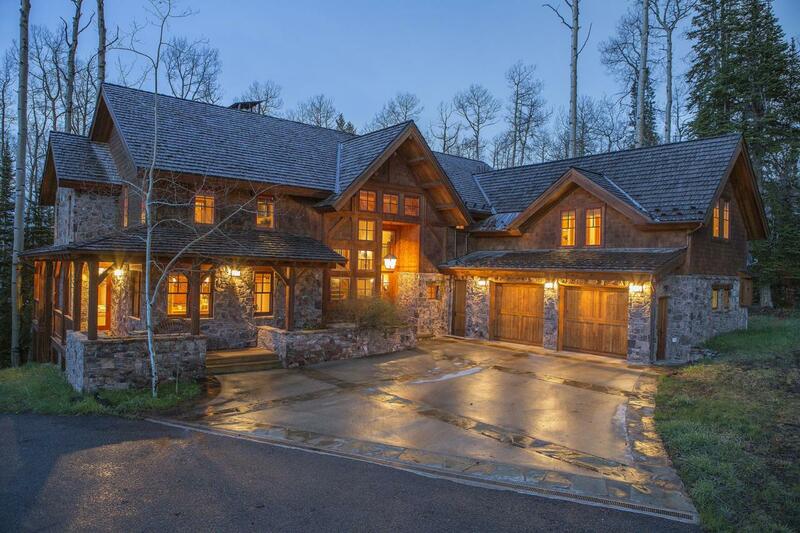 Listing provided courtesy of Daniel Henschel of Telluride Real Estate Corp. Mv. © Copyright 2019 by Telluride Association of REALTORS, Inc. ALL RIGHTS RESERVED WORLDWIDE. No part of this publication may be reproduced, adapted, translated, stored in a retrieval system or transmitted in any form or by any means, electronic, mechanical, photocopying, recording, or otherwise, without the prior written consent of the Telluride Association of REALTORS, Inc. IDX information is provided exclusively for consumers' personal, non-commercial use and may not be used for any purpose other than to identify prospective properties consumers may be interested in purchasing. Information is deemed reliable but is not guaranteed accurate by the MLS or Telluride Properties. Data last updated: 2019-04-21T10:49:17.987.